If you are like me, you enjoy hosting and attending gatherings with friends and family. You might also be like me in that you sometimes wait until the very last minute to figure out what you want to bring to said party. Well, think no more!!! This recipe has been a staple of party and everyday life in my family as long as I can remember. I have even been known to spread this on sandwiches instead of mayo or mustard and even add a little ranch dressing to it to make a southwestern-inspired dressing. “What’s in this amazing, versatile dip?”, you ask. Only TWO ingredients. That’s right, two ingredients. Didn’t hear the first two times? TWO INGREDIENTS. There…now that we’ve established this is a minimalist’s dream dip, I will also tell you that most of the time you probably have these two ingredients already in the fridge! Let me make this disclaimer though: any salsa can be used, but I make no guarantees as to the quality of said salsas with this recipe. We only ever had Pace Picante sauce at our house. You know the stuff…”This stuff’s made in New York City…Get a rope!” Pace is made in Texas and was invented, if you will, but a Texan. So, they know their stuff. Also, when looking for this at the grocery store, do NOT get salsa…you must get picante sauce to get the best results. 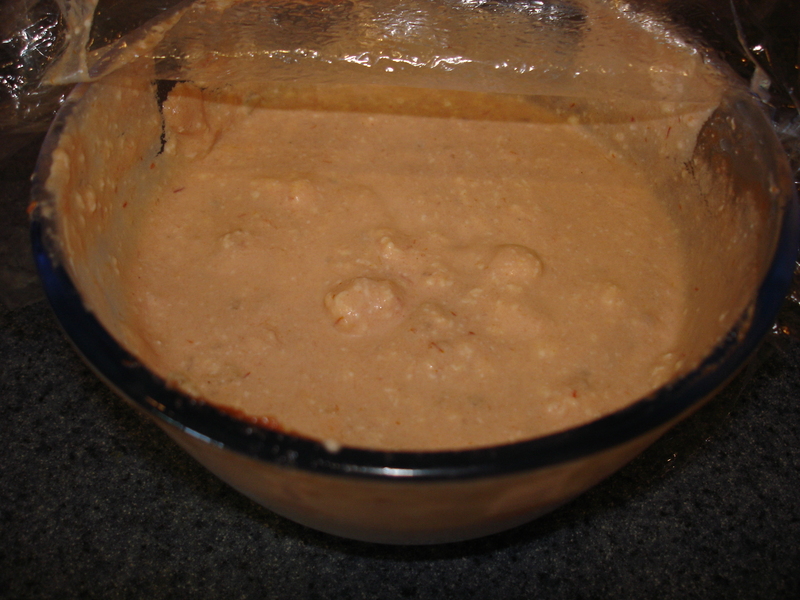 Mix the cream cheese and picante sauce in the mixer until well blended. Now enjoy that bag of chips! I have been lazy and purchased the whipped cream cheese, then I don’t have to use the mixer. However, the consistency is much better if you buy a brick of cream cheese, let it soften and then use the mixer to blend it. As you can see above, mine is still a little chunky, but still delicious! I like this with Frito’s Scoops best. Although you can get all healthy and do the baked Tostito’s Scoops. But, I like my dip a little thicker (less picante) and they just don’t seem to hold up to the dip as well. Oh, and did you know…Frito’s Scoops are GLUTEN FREE! So, this recipe would be good for just about anyone! Notes: April Dawn Horton was born April 3, 1985 in Fort Worth, Texas. She graduated from L.D. Bell High School in 2003. April then went to UTA and earned her degree in Kinesiology. OK, so I really need to read and then reread recipes before completing them. 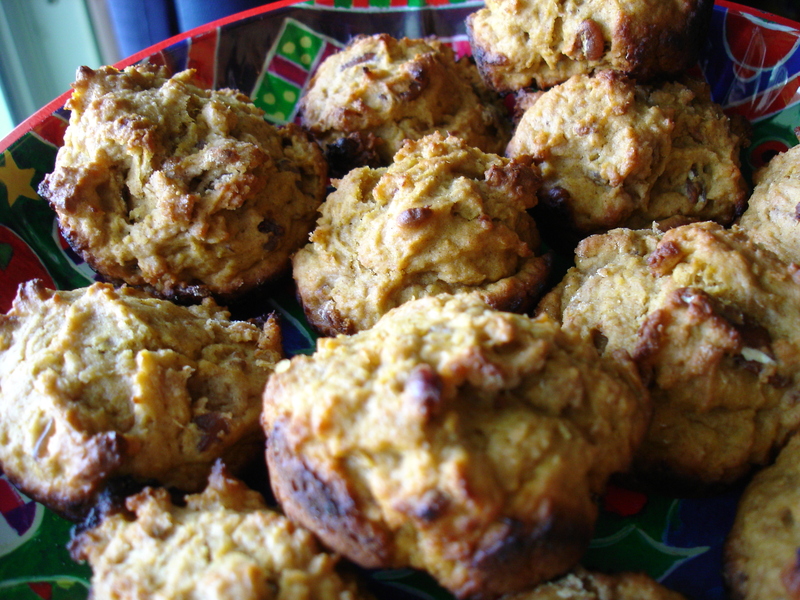 When making these muffins I read the recipe to determine what I needed, from the spice cabinet, and when I saw I was running low on cinnamon (which needed to be in the mix and on top) I knew I needed to add it to my shopping list for next week. I did not, however, remember to add it to the top of the muffins before baking them…ARGH! Anyway, if you remember a post of mine a few weeks back (think: Yam Molasses Cookies) you know that I was using a veggie peeler to “grate” my sweet potatoes. This time, I just bought canned yams (in syrup). Not only did I save cooking time, it was WAY easier to mash them up. I also figured out one of the reasons I really don’t like the sweet tuber…they STINK! I had a very hard time stomaching the scent of mashed yams and liken it to how I felt a few times when I was pregnant with my son and the lady next to me in choir wore too much horrid perfume. But, I digress. The muffins cooked well, although I am still having trouble keeping the “darker” recipes from browning too much when baking. I also think there are some very serious issues with baking times and temperatures. This one called for 425* for 35 minutes! I don’t know about you, but I have never had to bake a muffin longer than 15-17 minutes at any temperature. So, I watching these for the first 15 and they were more than done. After taking them out, I saw the darker bottoms, but the tops were perfectly golden. I then decided that I would cut it back to 325* the next time I make them. I would also remember to sprinkle cinnamon and sugar on top. The final result is mildly sweet with little spice noted. Perhaps pumpkin pie spice would be good too. Combine first 6 ingredients. Make a well in the center of mixture. Combine eggs, yams, milk and butter. Add to dry ingredients, stirring until just moistened (the mix is very thick). Spoon into 18 greased muffin tins. Sprinkle with sugar and cinnamon mixture. Bake at 425* for 35 minutes. You can see the extra browning on the bottom of the muffins…I just can keep them from doing that. Suggestions? Grandma’s Notes: 4/3/94- April Horton’s 9th birthday; Easter services. Frank’s family left “hanging” clothes home. Amber and Haley went & bought a dress. Cheryl Horton borrow from Barbara; April from Ashley; Frank from George; all went to church. 4/19/94- LORD, LET MY WORDS BE WORDS OF COMFORT & COURAGE; NEVER WORDS TO DISCOURAGE. LET THEM GLORIFY YOU.